Tried and true ion-exchange softening with a unique blending valve that allows users to adjust the softness to the desired comfort and feel. By choosing to blend in un-softened water, they can reduce salt costs by up to 20%, and save water, too. The On-Demand meter control with blending valve allows for less regeneration cycles, which reduces both water and salt usage. It also includes a high efficiency injector that saves even more water. 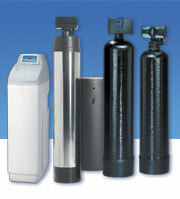 The PureWaterSoftener eliminates limescale buildup on pipes, fixtures and water heaters in homes and businesses. Reduces detergent use up to 70% and increases water heater efficiency by as much as 29% for gas or 22% for electric. Choose one of 3 sizes up to 60,000 grain removal. 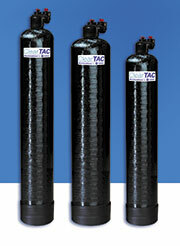 Whole House Water Conditioning using Template Assisted Crystallization (TAC) technology to reduce hard-water deposits from forming on pipes and fixtures, this advanced water treatment device can be used in areas where conventional water softeners are banned. The premium coconut carbon reduces or eliminates chlorine taste and odor while the beneficial minerals remain. 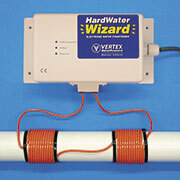 There are no chemicals or salts needed and there is no brine discharge. 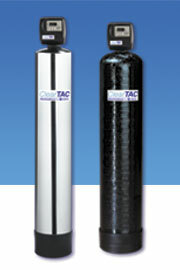 Media only TAC tank system with simple 1” in & out valve, no backwashing, no drain, and no electricity or power needed. 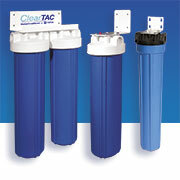 Electronic alternative to ion-exchange water softeners that will prevent mineral deposits and remove existing scale, eliminating the use of chemicals and brine discharge. 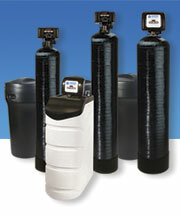 Commercial grade electronic alternative to ion-exchange water softeners that will prevent mineral deposits and remove existing scale, eliminating the use of chemicals and brine discharge.